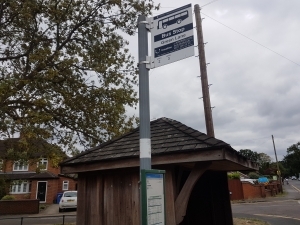 A new report by the Campaign for Better Transport, out today (5th December) attempts to signpost how bus services in rural areas, like Hart could be improved, and make communities more accessible. 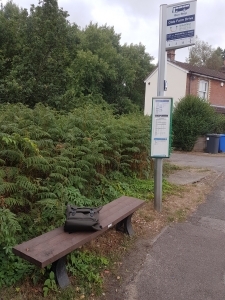 Vital link – bus stop in Darby Green, closest to Hartley Corner surgery, on routes 2/3. The research, entitled ‘The future of rural bus services in the UK’ shows we are not alone in having lost services, or facing circuitous routes* which can often only contribute to making a service even less attractive, or less reliable. The report argues that buses are a key part to any part of any sustainable transport plan, which can relieve increasingly congested roads (with associated air pollution and environmental damage, and threats to economic productivity), as well as being a lifeline to those without a car, typically older people, younger people, the disabled, and those on lower incomes who may otherwise find themselves stranded or isolated. What many people call a ‘ghost bus stop’, here moved temporarily for roadworks. Not served by frequent services, but in this case, the hugely valued Hartley Wintney Community Bus, en-route 2x day, 4x week to The Meadows, & Camberley. In talking to local people as part of gathering evidence for the neighbourhood plan, time and time again, the evaporation of the local bus network is one the recurring themes. Over recent decades, we have lost the ability to get direct services to Fleet, Farnborough, Basingstoke, Reading and London. Effectively, another ‘ghost stop’ in Frogmore. 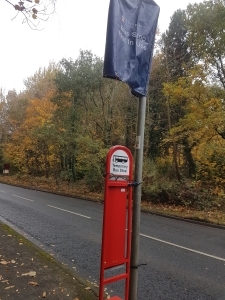 Only used by two college buses each day (heading for Farnborough), and the two Hartley Wintney Community Buses. 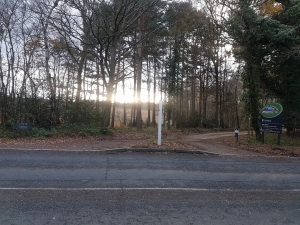 Campaigners would love to see some of the more regular Yateley-Camberley services routed this way, to serve other parts of Frogmore, East Green & Blackwater. 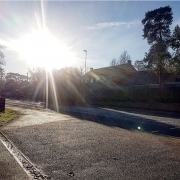 This report highlights the need for bus and rail services which connect with each other; more ‘demand responsive’ services which utilise flexible routes where there is less demand; resourcing for community transport solutions, like Yelabus (and the Hartley Wintney Community Transport service, which has been hugely valued in feedback to our consultation by residents of Frogmore and East Green) as part of the public transport network; more account to be taken of modern lifestyles and travel needs when planning networks & services; and more effective use of technology, and smarter ticketing options. It calls for better incentives for companies providing transport in rural areas to develop and improve services, and wants better partnerships between local authorities and private companies, as well as a wider range of operators and services. The Reading Road, between East Green, and Potley Hill. No congestion in this photo, but a definite candidate for queues during the rush hours. 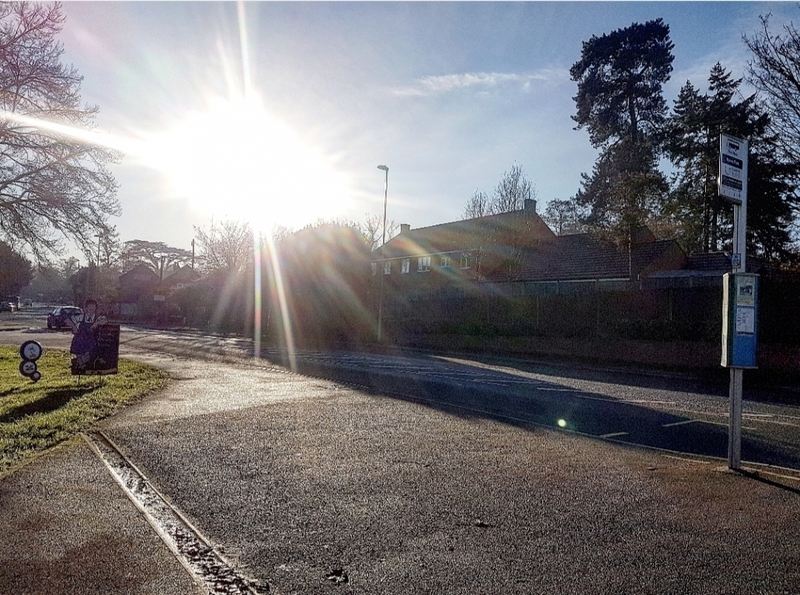 Another valuable national report to reflect on as we consider more specific local evidence too, particularly about congestion, and its impact on commuting from Yateley, Darby Green and Frogmore. Click here for the full report; Click here for an article on the report; Click here for press release accompanying the report. (*) while mentioning circuitous routes, we have to highlight the ‘No. 2’ route from Yateley to Farnborough (about 6 miles on the most direct route on a map). At some points in the day, it can take up to an hour and three-quarters to cover this route! Anyone who uses the buses knows you either use one of the two college buses (which take a mere twenty or so minutes), or failing that, you change en route. But why design it that way? It hardly seems the best way to encourage people uninitiated in using buses from using them – and it leaves Yateley, Darby Green and Frogmore without a direct service to mainline, London Waterloo railway services, from either Farnborough (Main), or from Fleet. This just does not seem possible in the 21st century.